One of the best selling sub-compact pistols ever, the M&P Shield continues the excellence of Smith &Wesson’s Military and Police line. Smith & Wesson released the Shield in 2012. This small semi-automatic was created solely for self-defense as a conceal carry weapon (CCW) and sold extraordinarily well, hitting one million units sold just three years after its initial release. In 2017, Smith & Wesson introduced a new line of M&P guns, calling them the M&P M2.0. This release updated the Shield slightly, most significantly the inclusion of a tougher, grittier grip. For the purposes of this review, we will focus primarily on features and options that apply to both the original M&P Shield and the M&P Shield M2.0. Both M&P Shield and M&P Shield M2.0 are set up for right-handed shooters, as only the magazine release is reversible. In order to keep the MSRP lower on the Shield, Smith & Wesson does not include many bells and whistles. With your purchase you will receive the pistol, an owner’s manual, and a lock. The gun ships in a box not a lockable plastic case. However, by stripping down what comes with your purchase, Smith & Wesson is able to keep the MRSP for the M&P Shield to a reasonable $470-550 depending on your options. 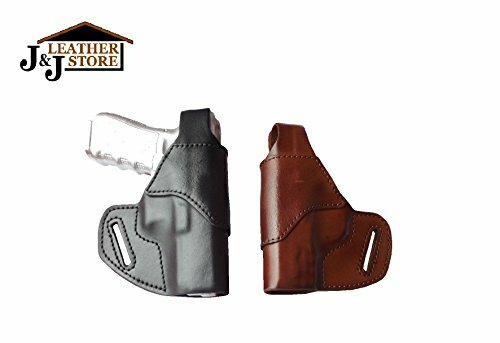 OutBags OUTBAGS USA LS2SHIELD (BROWN-RIGHT) Full Grain Heavy Leather IWB Conceal Carry Gun Holster for Smith & Wesson M&P SHIELD 9mm / 40 S&W. Handcrafted in USA. 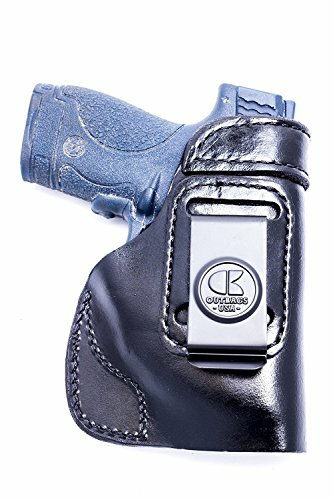 OutBags OutBags USA LS2SHIELDX (Black-Right) Full Grain Heavy Leather IWB Conceal Carry Gun Holster for Smith & Wesson M&P Shield 9mm / 40 S&W with Crimson Trace Laser. Handcrafted in USA. 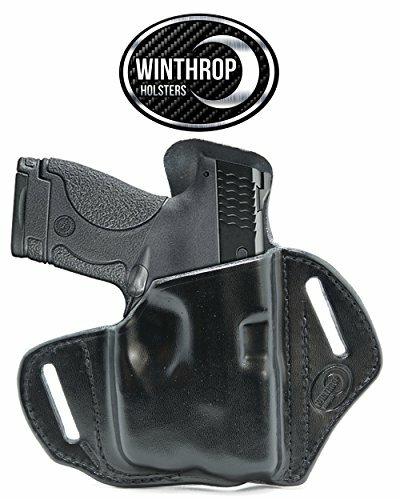 If you are someone who wants to know the specifics of your purchases, here are some of the most important specs for the M&P Shield from Smith & Wesson’s website. Listed are the specs that stay the same no matter what options you choose. If someone gave out an award for the most varieties of the same pistol, Smith & Wesson would win with the M&P Shield hands down. There are a whopping fifty-two different varieties listed on their website. Now, to be fair, many of these options are listed separately for the 9mm and .40 versions. You can also purchase a couple of models of the M&P Shield in .45. Here we provide a pared-down list of the different varieties of M&P Shields available for purchase. 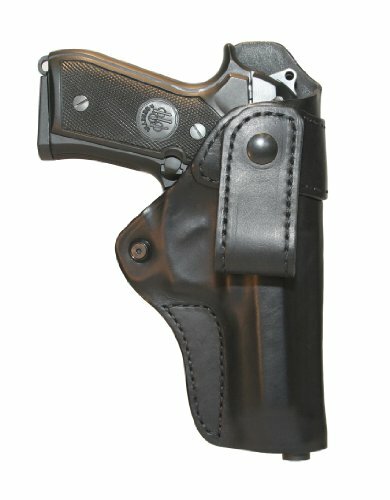 Performance Center Every Day Carry Kit (9mm): Includes pistol, “Oasis” Liner Lock Folding Knife, “Delta Force CS” LED flashlight, Performance Center Branded Discreet Gun Portfolio. If you are new to sub-compact pistols, you should skip the many other options available and spend your time trying out Smith & Wesson’s Military and Police (M&P) Shield. Read on to find out more about the many options and features of this small and thin but powerful sub-compact semi-automatic pistol. For a longer description of each visit Smith & Wesson’s website. By all accounts, the M&P Shield is an extremely reliable gun. Over one million people wouldn’t have bought this pistol otherwise. 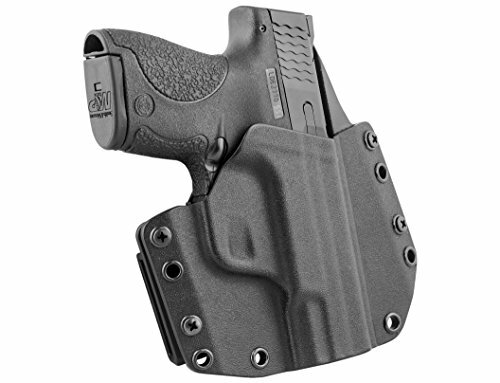 The polymer frame and stainless-steel slide help increase the pistol’s durability. 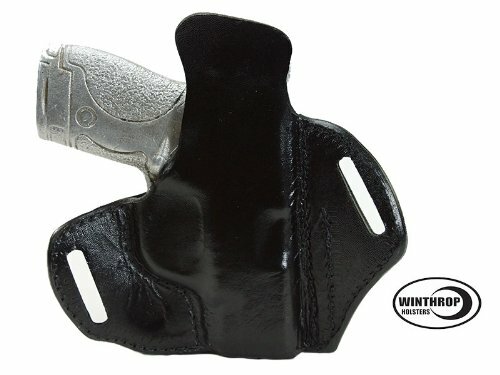 Since it is made as a CCW, sweat is an unavoidable reality, and these materials help keep the gun from rusting. Additionally, every M&P Shield is covered by Smith & Wesson’s one-year limited warranty and lifetime service policy. Their warranty is less inclusive than their competitors, but the lifetime service policy guarantees that they will repair—without charge to the original owner—any defects found with your firearm for your lifetime. As you might expect from a sub-compact pistol, Smith &Wesson has made the M&P Shield quite small. However, it is only 6/10s of an inch shorter and 3 ounces lighter than the next size larger M&P, the Compact. It’s extremely small width sets the M&P Shield apart from the other larger M&P guns. The Shield has a width of less than an inch, .95 of an inch to be exact. This is significantly thinner than the M&P Compact and most other sub-compacts on the market. Smith & Wesson achieves such a thin frame through the use of a single, not the more common double, magazine. 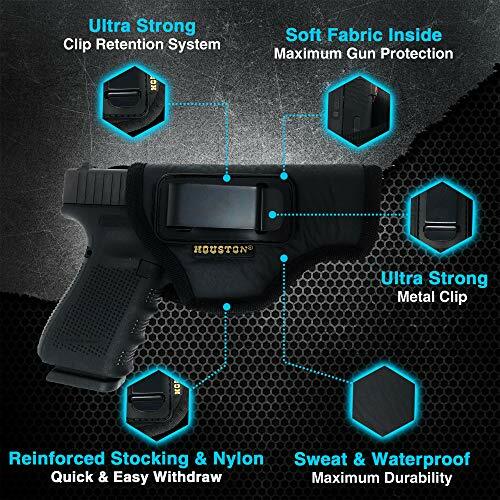 You will have to reload more often and the smaller size of this grip may create problems for those with larger hands, but you will gain an infinitely more concealable weapon. Unlike other M&Ps the Shield does not come with interchangeable backstraps, but does include the larger models’ 18-degree grip angle. The striker-fired trigger on the M&P Shield takes about 6.5 lbs. of force to break. 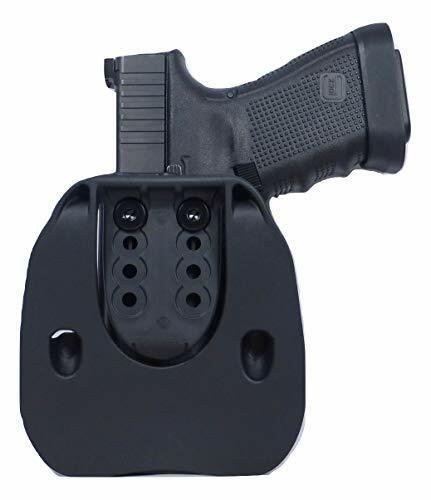 As with most aspects related to the trigger—reviewers of the M&P Shield do not agree. Some describe the trigger as mushy, others as too heavy to pull, and still others as perfect. Essentially your reaction to this striker-fired DAO trigger will depend on your partialities. As with all firearm purchases, you should always try the gun before you buy it to make sure that it will be comfortable for you. Most reviewers comment positively on the M&P’s accuracy, especially at combat distances. Remember, a sub-compact pistol is not bought for long-range shooting. Thus, these guns will be the most accurate at distances up to 15 ft. Additionally, the bare bones design of the pistol makes it easy for amateurs as well as experts to shoot. Depending on your choice of caliber (9mm, .40. or .45), the pistol will have different recoil and muzzle flip. Obviously, the larger the ammo, the stronger the reaction of this tiny pistol. Thus, shooting .45 caliber will make the gun move much more than shooting the smaller 9mm caliber. Depending on your preference—and the state where you live—you can choose an option with or without a manual safety. 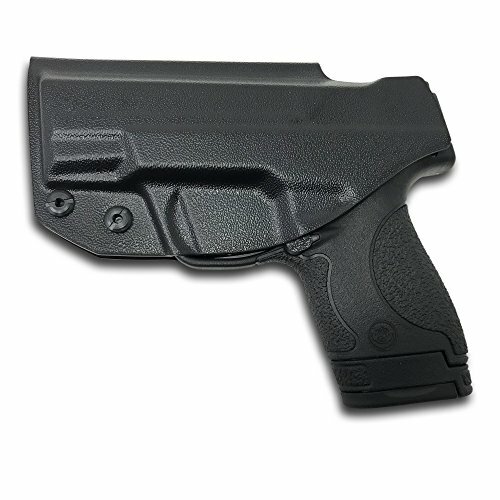 Some reviewers argue that the manual safety is not necessary to carry the M&P Shield because the DAO trigger acts as its own safety. Also, depending on your preference, you can always put the manual safety in the off position and never touch it again. 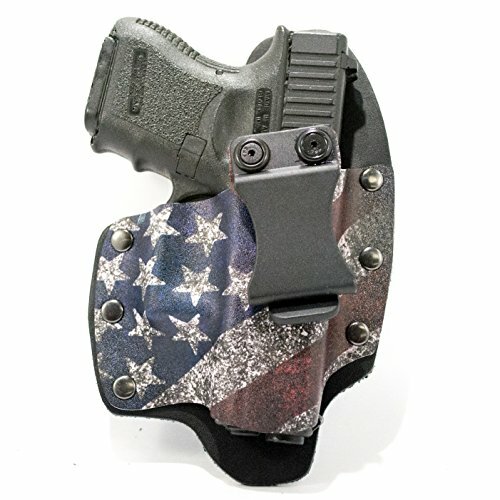 As mentioned above, you can purchase the M&P Shield with a large variety of options. While the many options available may seem intimidating, most fall into just a few categories. You can choose a M&P Shield with the addition of a red or green laser, high performance or night sights, or a manual thumb safety. You—of course—can also choose your desired caliber; 9mm, .40. or .45. 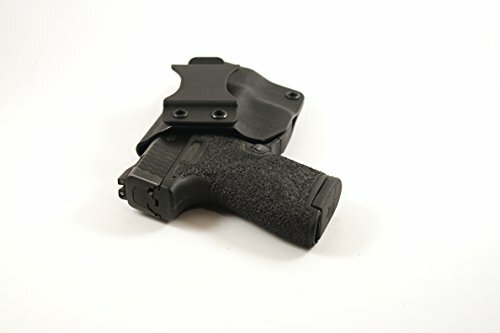 Finally, all M&P Shield purchases will get you two magazines, one flush and the other extended. The extended magazine holds one extra round, no matter the caliber option you choose. 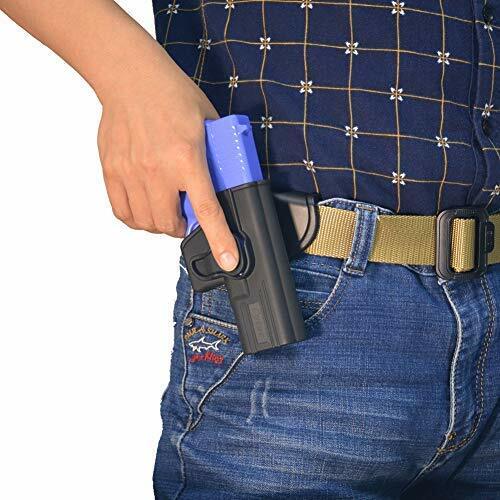 The extended magazine also increases the amount of space that you have to grip, but will make conceal carrying more difficult. That Smith &Wesson gives you both options sets the M&P Shield apart from its competitors. Smith & Wesson’s website. If you want a reliable, well-made, and overall solid sub-compact pistol, then you should consider Smith & Wesson’s M&P Shield. There is a reason that over a million of these little guns were sold in just three years. Everything about the Shield screams quality and precision. 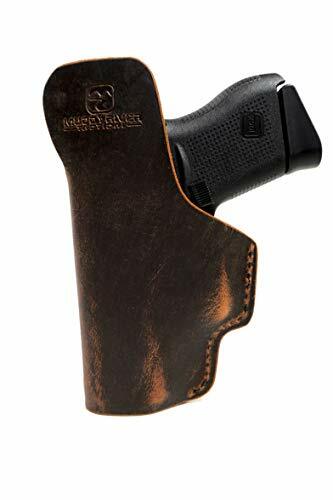 They fulfill their intended purpose as a conceal carry weapon extremely well, virtually disappearing into most clothing. 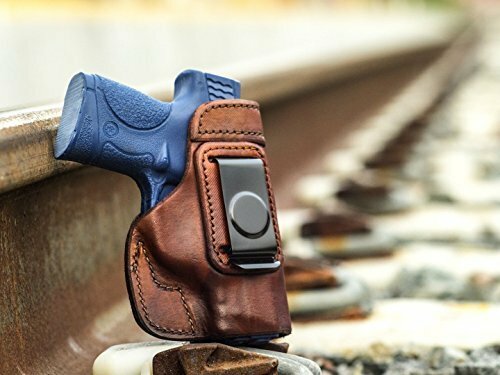 The lightness of the pistol makes it easy to anyone to carry all day. If you haven’t had the chance to shoot one yet, we recommend getting to the range today and trying a M&P Shield out for yourself. Ralph, “Gun Review: Smith & Wesson M&P9 Shield,” The Truth About Guns (June 27, 2012), http://www.thetruthaboutguns.com/2012/06/ralph/gun-review-smith-wesson-mp9-shield/ (accessed 2/24/18). 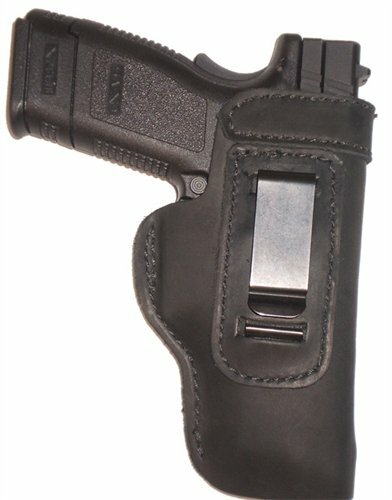 G&A Staff, “Palm-Size Power: Smith & Wesson M&P Shield Review,” Guns and Ammo (April 25, 2012), http://www.gunsandammo.com/reviews/palm-size-power-the-smith-wesson-mp9-shield-review/ (Accessed 2/24/18) AND Marc Holley, “Smith & Wesson’s M&P Shield 9mm Gun Review,” Gun Carrier, https://guncarrier.com/mp-shield-9mm-review/ (accessed 2/24/18) AND CTD Rob, “M&P Shield: What’s So Great About It?” The Shooter’s Log (April 6, 2013), http://blog.cheaperthandirt.com/shield-glock-killer/ (accessed 2/24/18). Bryce M. Towsley, “S&W M&P Shield: Gun Review,” Range 365 (May 18, 2015), https://www.range365.com/gun-week-smithwesson-mp-shield (accessed 2/24/18).